Do you know any hidden gems in Cracow? After all this years of experience we’ve noticed that you often ask us what is worth seeing in Cracow which is more unusual than what you can see around the Main Square. So, we thought that we can show you some alternative, places where locals hang around, bit off the mainstream spots. I was thinking where I would take my friends in Cracow. I’ve made up a list of intriguing places and I want to share this places with you in this post. Enjoy reading! Now after many years this part of the city is becoming more and more popular. Why? You can see completely different architecture there and feel the atmosphere of 70s 80s. You can visit original local “milk bars” where you can eat meal for 3-5 zł, they look exactly the same like they looks few decades ago. You should try traditional polish dumplings- “pierogi” there, they are sometimes much better than in city centre and 5 times cheaper. The only thing you may find problematic is that probably nobody speaks English there so you’d need to learn some basic Polish words and expressions 😉 Hope this post can help you: Polish Language Lesson-1 . If you are more interested in history you can visit Museum of Polish People’s Republic and find out many interesting facts about this special period in Polish history, you can buy guided tour there. You can find more details here. 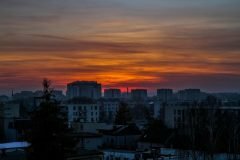 Another place in Nowa Huta that is worth seeing is the Central Square which is situated in heart of Nowa Huta. The buildings around the square are extraordinary – just take a look on the arcades when you will be there, they are beautiful! My favourite place in Nowa Huta is situated 2 minutes from Central Square and it’s called Nowa Huta Cultural Centre. This is an awesome place where lot of things are going on: exhibitions, performances, workshops, but for tourists the most interesting will be Zdzisław Beksiński Gallery. This is the gallery of one of the best Polish artist. His style is really unique, and for sure controversial, dark and obscure, but really awesome. You can check it here. If you like to visit Nowa Huta you can do it with us! We’ve prepared special city tour for you. Hit the button to find out more. I want to recommend also one of our hidden gems in Cracow- which is called Zakrzówek. If you are person who like sometimes spending time away from people, city center and all this noise this place is perfect. This is beautiful area with awesome hidden lagoon in an old quarry and limestone cliffs. You can go for a walk, lie down and enjoy the view, sun and just chill. Just you need to be careful never climb there while you are drinking alcohol, it can be dangerous. This place is really close to the city centre, you can walk there or just take the tram from Wawel castle and it’s like 3 stops from there but you will feel like you are in different world. 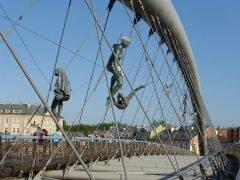 This part of the city is situated on the other side of the Vistula River, you can get there from Jewish Quarter over the Father Bernatek Footbridge, which is for me the nicest bridge in Cracow. You can just go for a walk around, even get little lost, you can accidently discover many beautiful places, architecture, small coffee places, restaurants, parks, churches. You can also visit the Ghetto Heroes Square and find out the story of the lonely chairs there. 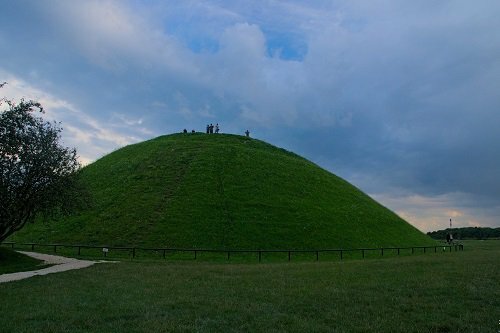 Also I would recommend to climb the Krakus Mound that is located on Lasota Hill the view from the top is great. You can read the story of the mound here.